In his first visit to the U.S. as Brazil’s Economy Minister, Paulo Guedes promised investors looking to grab opportunities in Brazil that, beyond assets, they would find a whole different country, with a more open and pro-business economy. However, considering the first three months of the Jair Bolsonaro government, it seems that won’t be an easy promise to deliver. It is true that the Jair Bolsonaro administration has delivered its pension reform bill in Congress and promoted concession auctions for infrastructure assets, but the devil lies in the details. 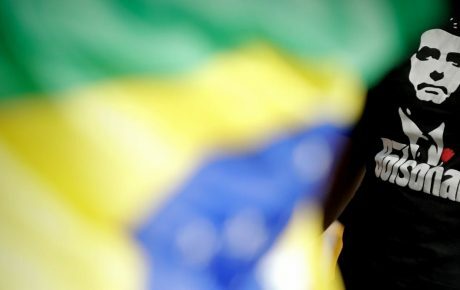 The plan to put Brazil among the 50 best countries to do business in four years (instead of the current 109th place in the World Bank ranking)—by slashing and simplifying taxes, signing more trade deals, reducing the size of the state and bureaucracy—depends on the administration’s political wing, which doesn’t seem sold on it. So far, the most emblematic case of Mr. Guedes’ struggle to open up the Brazilian economy concerns protectionist measures on powdered milk. Since 2001, producers from New Zealand and the European Union had to pay a 14-percent anti-dumping tax. The tariff was set to expire this year and, since there was no evidence the foreign powdered milk was harming local production, the Ministry of Economy decided not to renew the tax. Big agro, however, protested, and Agriculture Minister Tereza Cristina lobbied for the government to compensate producers. The government then decided to slap a 42-percent import fee on powdered milk. Moreover, President Jair Bolsonaro told the Economy Minister to settle the issue with Ms. Cristina. And he was the one who drove to her ministry. While it may seem petty, in language of politics in Brasilia, this means she has the upper hand. 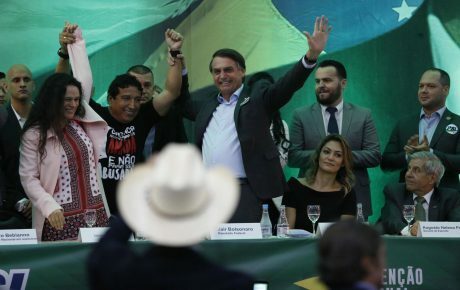 This episode is a good example of how Mr. Bolsonaro’s administration is a patchwork of different—and often conflicting—interests, instead of a true coalition of any kind. While the president’s “economic guru” is an ultra-libertarian economist—with plans to slash import fees and promote free-market competition in the country—big business and big agro defend market reserves and protectionism. The struggle to make Brazil’s economy less insular dates back to the 1990s. When then-President Fernando Collor took office, he used his popularity as the first democratically elected leader after the military dictatorship to implement his liberal program. To tame inflation, he drained liquidity by confiscating money from bank accounts, leaving companies and individuals penniless. Meanwhile, he slashed import tariffs, a process that President Fernando Henrique Cardoso continued. Almost broke, many companies could not afford to compete with more modern—and cheaper—foreign products, leading to a round of bankruptcy filings that help explain the sector’s resistance to liberal ideas. In spite of the high costs, the opening brought very important legacies for Brazilian economy, creating the conditions for the success of the Brazilian Real and the implementation of Mercosur, as explained by professor Vladimir Maciel, coordinator of the Economic Freedom Center at Mackenzie Presbyterian University. “The Brazilian Real would not have been successful if there was no opening [of the economy]. When inflation stabilized in 1994, people started to buy more food, such as meat, dairy, and eggs. Huge pressure in prices followed because the industry could not support the demand. Then, the government cut tariffs for the second time and Argentinian food products helped stabilize prices here,” he told The Brazilian Report. 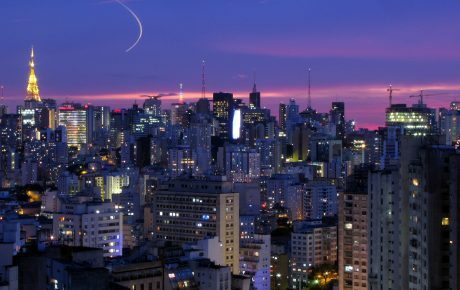 After the first attempt, Brazil’s economic opening process has stalled. 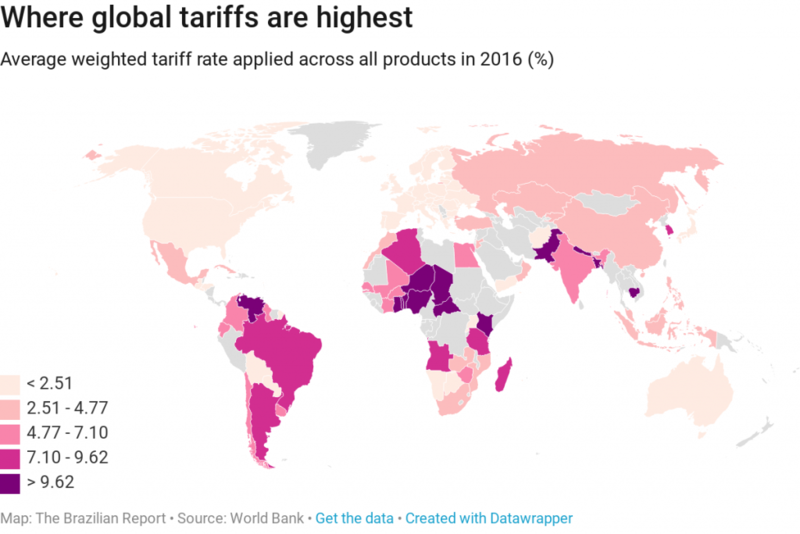 The “Trade Opening for Economic Development” report, produced by the Brazilian government last year, shows that from 1989 to 1995, manufactured goods import tariffs fell from 37 to 12 percent, while materials dropped from 31 to 9 percent. Since then, they have remained stable, while the global average decreased. The results are felt throughout the entire economy, which becomes less efficient and less competitive. According to the report, a sample of 24 developing countries experienced an average 2-percent growth in real GDP after opening up their economies. For consumers, that would mean more affordable products, while companies could benefit from better access to equipment and advanced technologies. It is true that there would be fierce competition but, for Mr. Maciel, a terrible shock like the one Brazilian companies faced before would be very unlikely, as they are now better prepared to compete and the macroeconomic environment is more favorable, with low inflation and interest rates. To ensure a smooth transition, Mr. Guedes’ proposal involves a gradual approach, coupled with improvements in the business environment that would help Brazilian companies to become more competitive. The government’s economic team is studying the adoption of a smaller cut for the import tariffs for machines and equipment at first and then to increase it progressively. The plan is being delayed, though, in exchange for the industry’s support for the pension reform – and without it fixing high spending, it is wholly unlikely the government will proceed with a tax reform to diminish its revenues. “Companies want protection because it means a higher profit margin, they need a better business environment to adjust. And they will be lobbying for it. We may see more events like the trucker’s strike, which also had demands from the businessman. Managing this requires an ability for dialogue that I did not see in the first three months. The Economy Minister is doing what is possible, but he can’t do it all by himself,” said the professor. 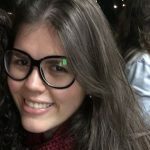 Natália Tomé Scalzaretto has worked for companies such as Santander Brasil and Reuters, where she covered news ranging from commodities to technology. Most recently, worked as an Editor for Trading News, the information division from TradersClub investor community. 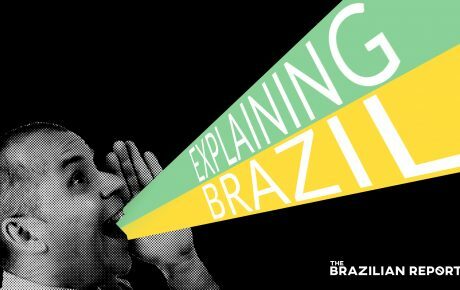 Explaining Brazil Podcast #3: Just how solid is Brazil’s economic recovery?